The only way to describe the past few weeks is to say that my heart is full. When I am serving as unto the Lord alongside a team with the same heart and mission, the hard work and long hours are always worth it! Last Sunday night was an incredible experience. It was an opportunity for the church at Austin Stone to sing new songs alongside each other - to lift high the name of Jesus. 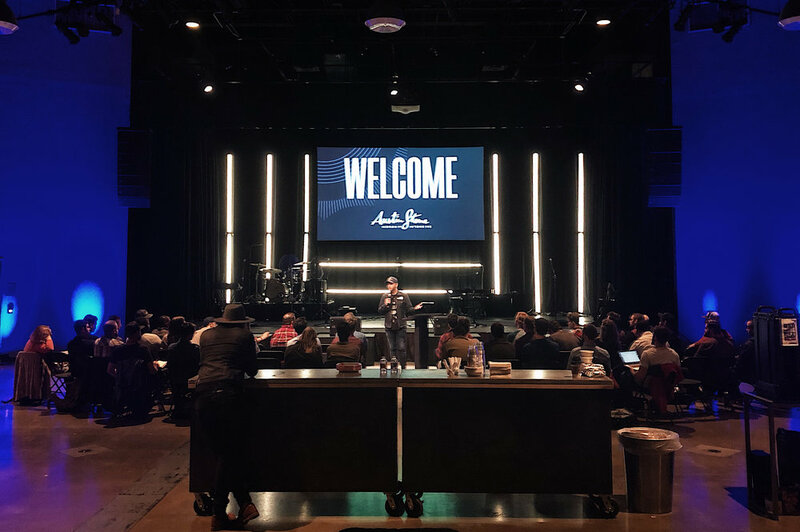 The same week, Austin Stone Worship hosted a Worship Intensive and brought in 30 worship leaders from all over the United States to spend 2 days and praying and encouraging one another. As leaders called to be on the front lines of ministry these two short days were used in an impactful way. These Worship Intensives are one of my favorites things we get to do and one of the most meaningful experiences in my residency. Getting to hear from the guys who have been called to lead The Austin Stone Community Church in worship week after week is always a critical and impactful reminder for me personally. They talk candidly of their struggles and how they persevere to continually point their people to the hope we have in Jesus. This Sunday I am leading worship at Trinity Chapel Bible in Ft. Worth. I am continually humbled and blessed by the opportunity to lead people in songs of praise to our risen King. "There is no other so sure and steady, our hope is held in his hand" (from the song: Jesus Is Better). Speaking of new songs, Austin Stone Worship actually released their new album Everflow today! Go check it out!!! The content of these new songs are incredibly rich and full of hope: the hope in Christ that anchors our soul amid a turbulent world!